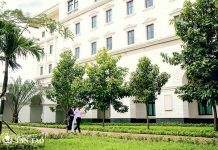 At Tan Tao University (TTU), lecturers are not only a person who conveys knowledge but also an orienting person for student to discover their strengths and develop themselves. 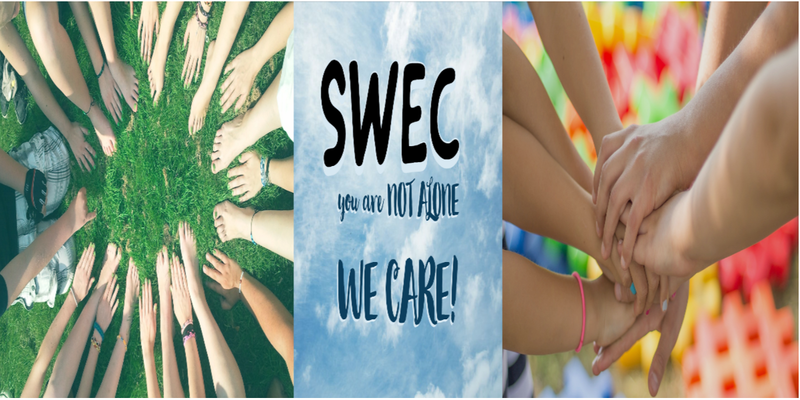 Even here, teachers are friends with students so that in addition to exchanging academic issues, they can also discuss life issues to help students find solutions. 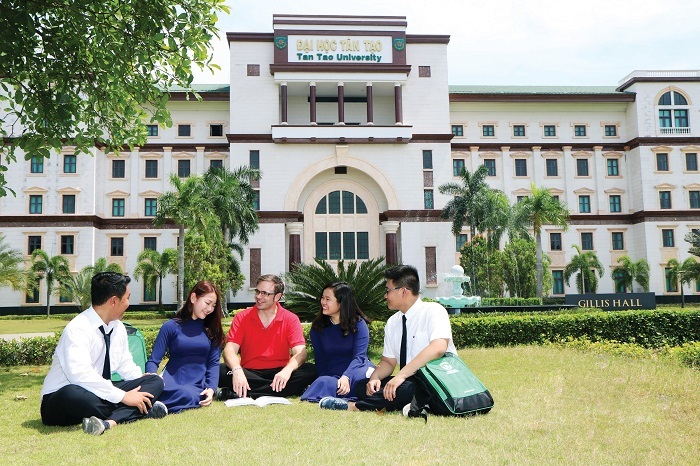 In order to do so, Tan Tao University has more than 60% of lecturers who are foreign professors and doctors or Vietnamese professors and doctors but trained abroad, with a high level of expertise and enthusiasm with students and always being willing to accompany students during the course of study and practice at school and business. 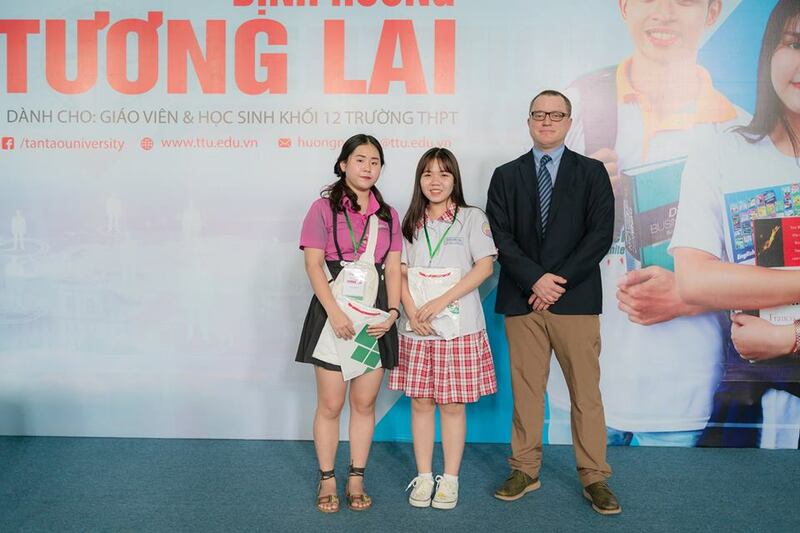 In January 2019, Tan Tao University was delighted to welcome a new element, full of qualities, knowledge and experience to convey to students valuable lessons and arousing enthusiasm and passion in TTU students. That is Assoc. Dr. Henry Webb. 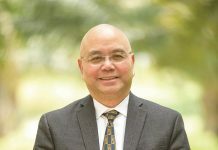 He is an Associate Professor in Business Law since August 2015 and is a Foreign Education Advisor at the Eberly College of Business and Information Technology at Indiana University, Pennsylvania, USA. 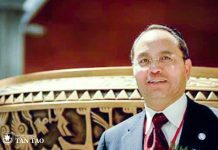 In addition, he also taught directly at many universities such as Qatar Law University, Appalachian Law University and RMIT Vietnam University. He attended and spoke at many economic conferences around the world, such as the Conference of the Business, Economics and Technology Association, at Pennsylvania State University, USA in 2017 on “How the company provides transportation services according to Keystone State law and lessons from Uber’s participation in traffic market of Pennsylvania State”. Assoc. 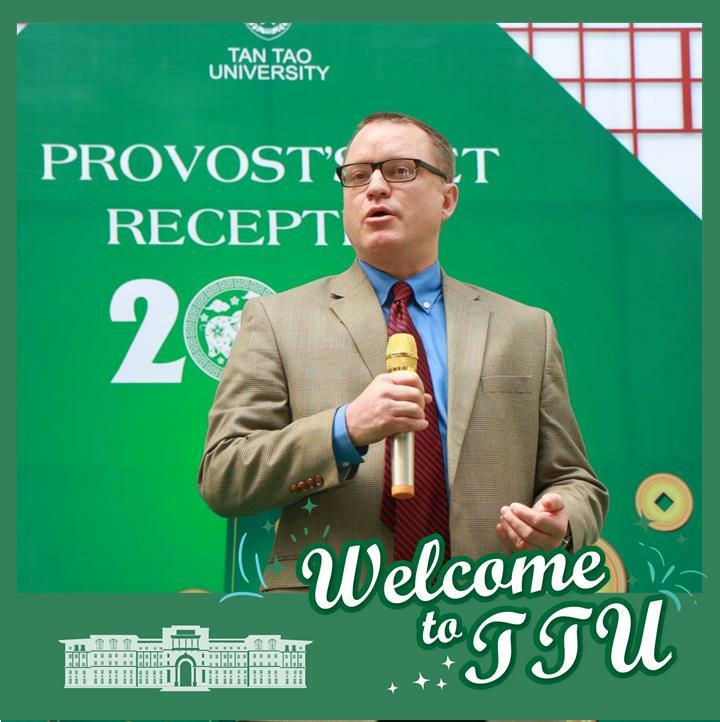 Dr. Henry Webb will be honored to hold the position of Deputy Head of Faculty of Economics & Business Administration of Tan Tao University from January 2019. 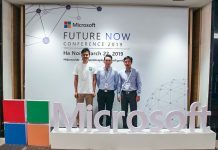 During this business trip in Vietnam, Assoc. 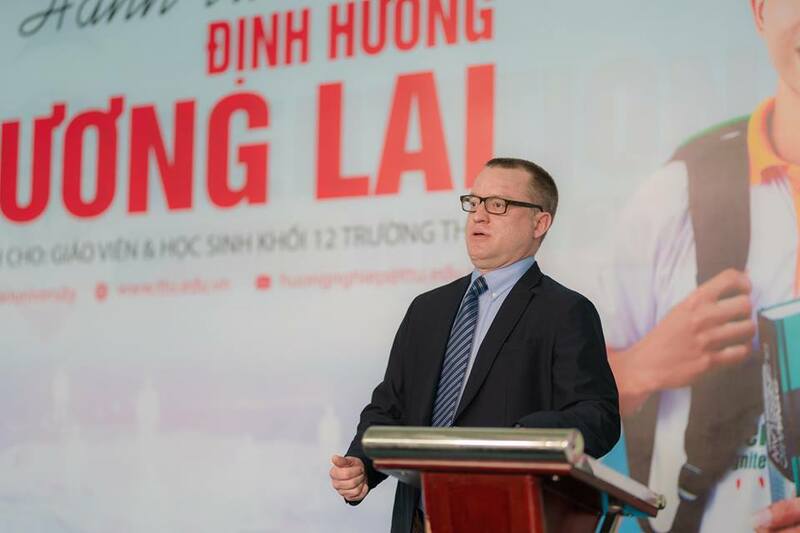 Dr. Henry Webb had timely shared with students from high schools in Ho Chi Minh City City on how to orient the way for yourself in the future, how to choose the career to be able to achieve success in life. 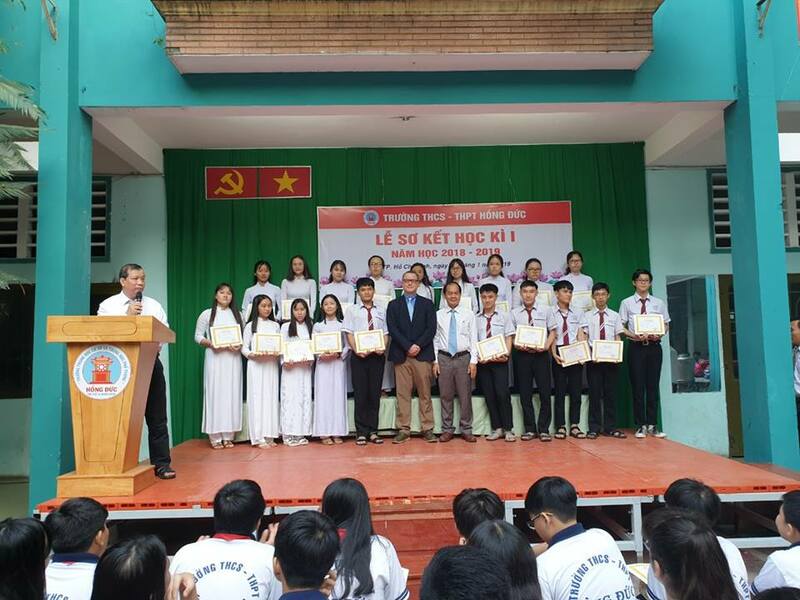 His sharing from his own life and work experience were extremely useful and highly practical, combined with the ability to convey vibrant and enthusiastic knowledge that made his speech became very attractive and interesting to the students. 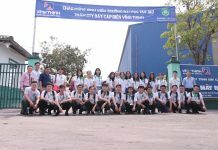 On Sunday, January 13, 2019, TTU was delighted to welcome students and teachers of Hoa Lu High School in District 12 and Tran Hung Dao High School in Go Vap District to visit and experience the educational environment at Tan Tao University in the series of “The Journey of Orienting Future” program. 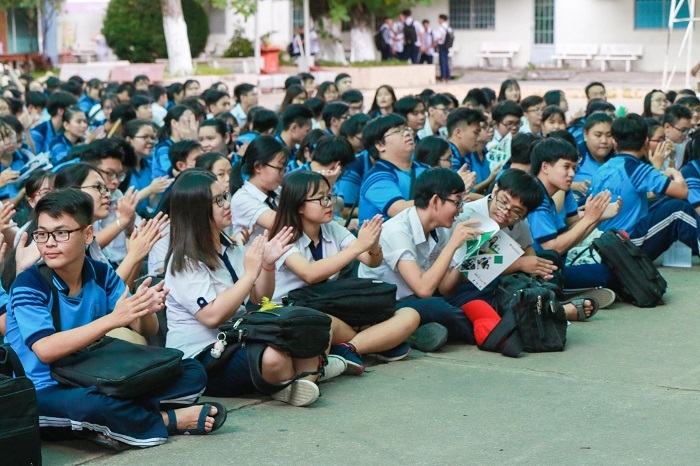 This is a program organized by Tan Tao University for students at high schools in many provinces to help them make the right decisions in choosing the career and university. On this day, the students had the opportunity to listen to the sharing of Assoc. Dr. Henry Webb with the topic of “How to Succeed in Business and Science” with 10 specific elements that were explained in detail. His speech attracted the attention of the entire hall and made the students extremely impressed. Monday morning, January 14, 2019, Assoc. 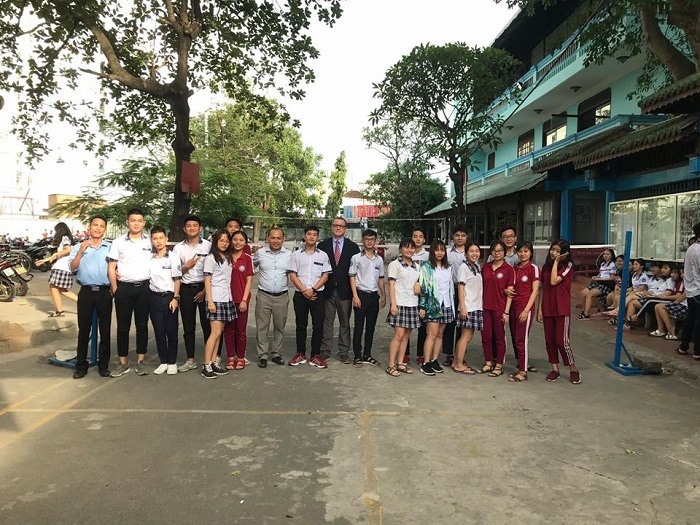 Dr. Henry Webb was present at Hong Duc High School on the occasion of summing for the first semester of the school’s semester to share with the students here how to orient themselves in choosing a career. Students who attended and listened to the actual sharing from Assoc. 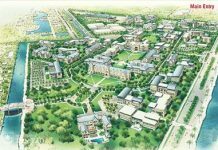 Dr. Henry Webb expressed their enthusiasm to participate in discussions and exciting the atmosphere of the program, at the same time recorded the good marks on Tan Tao University. January 16, 2019, Assoc. 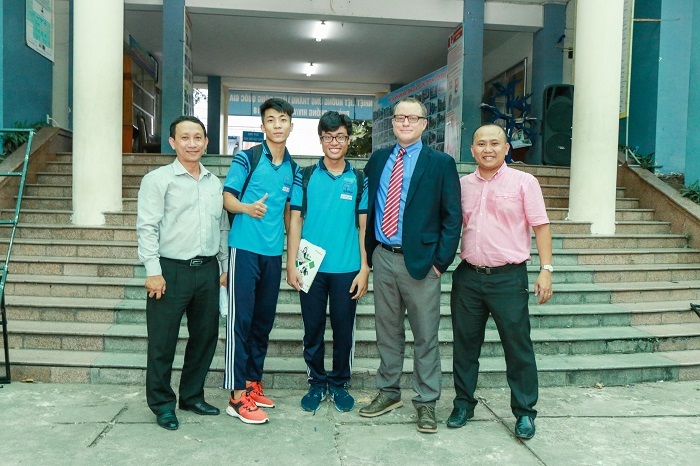 Dr. Henry Webb continued his journey during his business trip to Ly Thai To High School in Go Vap District. Here, he continued to share his valuable experiences with the students and received many positive feedback from the students. After sharing at Ly Thai To High School, Assoc. 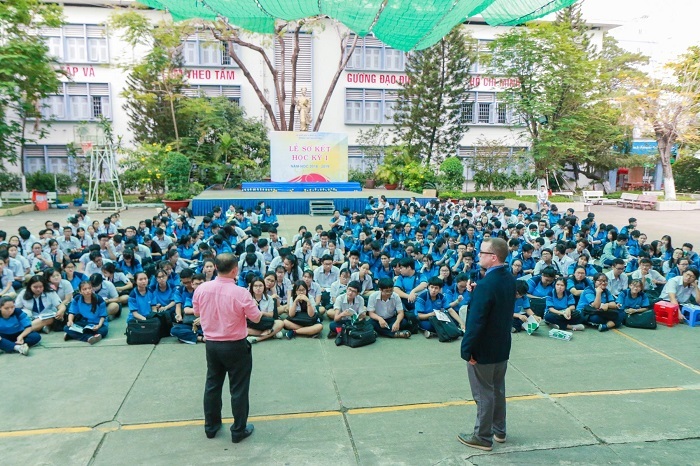 Dr. Henry Webb came to Nguyen Trai High School in District 4 to hold a sharing session with the school’s students. The talk took place in an extremely friendly and lively atmosphere and his talk left much impression on the students. Assoc. 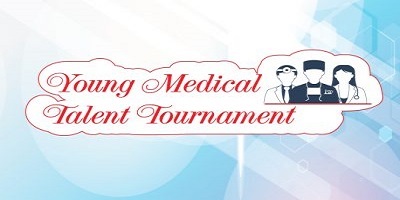 Dr. Henry Webb is really a very devoted person to the education work and always expects students to find the right and suitable path suitable for themselves. Hopefully, the next business trip of Assoc. 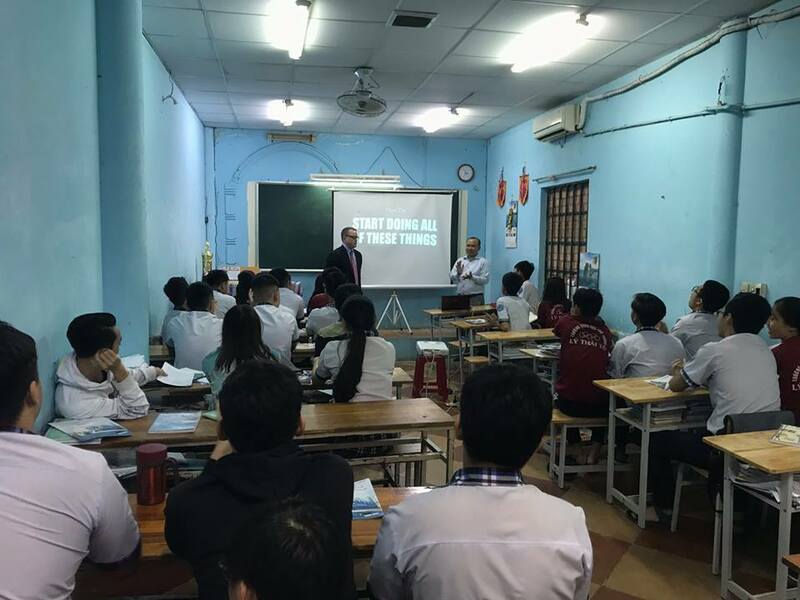 Dr. Henry Webb in Vietnam will continue to bring to the students many useful lessons. 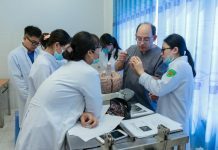 Dr. Ernest F. Talarico Jr., Associate Professor of Anatomy & Cell Biology at the Indiana University School of Medicine, USA, Visited Tan Tao University.